Standardization and harmonization initiatives in laboratory medicine should include all aspects of the total examination process, from the “pre-pre-analytical” phase through analysis to the “post-post-analytical” phase. Rapidly available and precise results can indeed be of very limited value if they cannot be compared with each other, are produced on a wrong material or within an inappropriate diagnostic workflow. Standardization is therefore of high priority and achieves an important ethical dimension as it aims to affect the way laboratory tests are used in order to guarantee optimal care for patients in a global world. Harmonizing the pre-analytical phase requires use of standardized procedures for correct test selection, sample collection and handling, while standardized test terminology and units and correct implementation of metrological traceability, according to ISO standard 17511, are required to ensure equivalency of measurement results. Use of harmonized reference limits and decision levels will reduce inaccurate clinical interpretation and unnecessary laboratory testing. In the post-analytical phase, harmonized procedures for the management of critical laboratory test results are required to improve service quality and ensure patient safety. Monitoring of the outcomes of harmonization activities is through surveillance by EQAS that use commutable materials and auditing of the “pre-pre-analytical” and “post-post-analytical” phases. Successful implementation of harmonization in laboratory testing requires input by all stakeholders, including the clinical laboratory community, diagnostics industry, clinicians, professional societies, information technology providers, consumer advocate groups and governmental bodies. A harmonized context will increase the value of laboratory results facilitating their interpretation and thus improving the patient’s outcome. Mauro Panteghini, M.D., Postgraduate in Laboratory Medicine, is full Professor of Clinical Biochemistry and Clinical Molecular Biology at University of Milano Medical School. His institutional positions are Director of the Chair of Clinical Biochemistry and Clinical Molecular Biology at the Medical School of the University of Milan, Italy. 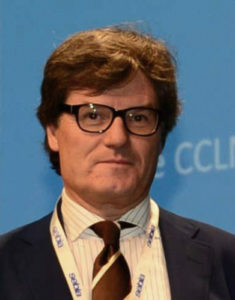 Director of the Department of Laboratory Medicine and Director of Clinical Pathology Unit of the “Luigi Sacco” University Hospital in Milan, Italy. Scientific coordinator of the Research Centre for Metrological Traceability in Laboratory Medicine (CIRME) of the University of Milan and Responsible of the Accredited Reference Laboratory (a JCTLM listed reference laboratory service). Prof. Panteghini has served in several international and national scientific activities in the field of Laboratory Medicine. He is currently Past-President of the European Federation of Clinical Chemistry and Laboratory Medicine (EFLM). He has published over 500 manuscripts (h-index: 51) and over 450 abstracts. He presented 140 invited lectures during international and national congresses and over 170 presentations at meetings or workshops.